PASTIC (Pakistan Scientific & Technological Information Centre) a subsidiary of Pakistan Science Foundation under the umbrella of Ministry of Science & Technology is a specialized premier national organization in the field of S&T Information management and dissemination. PASTIC caters to the S&T information needs of researchers from universities, R & D organizations and the industry. 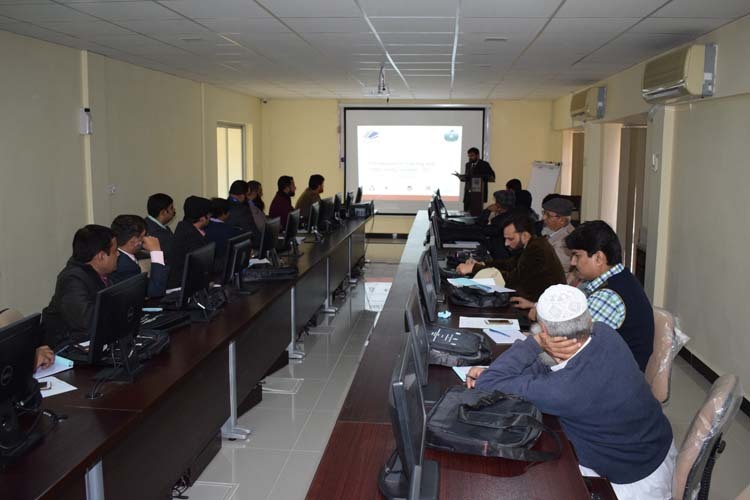 PASTIC organized a five day “Advanced Level National Training Workshop on Koha Library Automation Software” during December 04-08, 2017 at PASTIC National Centre, QAU Campus, Islamabad. There is a dire need to develop a common online platform for libraries for effective resource sharing to a wide number of users at lower cost at optimum fund utilization. The most basic prerequisite for its implementation is adoption of standard library software at regional libraries across Pakistan. To address this issue PASTIC has launched a project entitled “Modernization of PASTIC National Science Reference Library for Effective Resource Sharing among S&T libraries in Pakistan”. One of the core objectives of this project is to develop a Consortium of S&T / R&D libraries of Pakistan, through which all the central, national and departmental libraries of universities, Centres of Excellence and S&T organization will be abridged to create latest library tools for resource sharing. 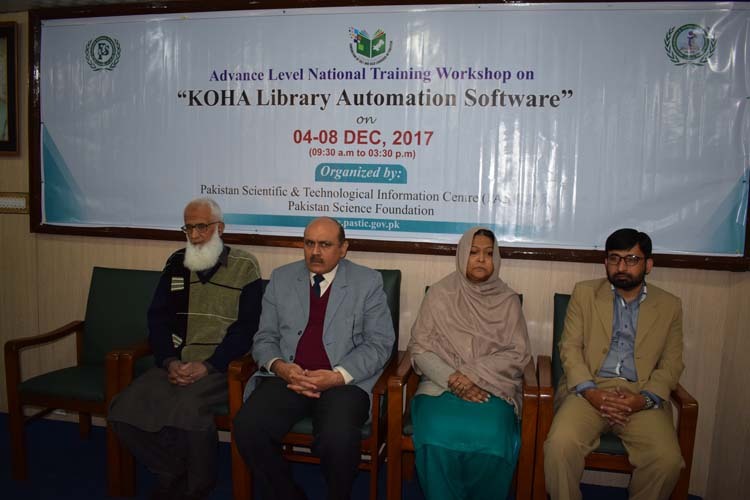 In this context, KOHA library automation software, being most effective and reliable library automation tool was selected by renowned librarians of Pakistan in a meeting held under this project in November 2017. In this connection, the first Advance level KOHA training for master trainers was organized by PASTIC. Mr. Atta-ur-Rehman, Manager Library, National Centre for Physics, Quaid-e-Azam University, Islamabad was resource person of this training workshop. 21 Library professionals across Pakistan participated in this workshop. Chairman, Pakistan Science Foundation, Dr. Muhammad Ashraf was the chief guest at the Closing Ceremony of this event. He distributed certificates among the participants. Speaking at the occasion he said that in this digital era, it is need of the time to develop a common digital library archive at the national level so that access to electronic resources can be provided more effectively. PASTIC has been striving hard for strengthening of libraries by creation of Union catalogues for effective resource sharing and organization of training programs on library automation softwares for capacity building of librarians. Muhammad Aqil Khan (Additional Director PASTIC); Chairman PSF, Prof Dr. Muhammad Ashraf; Director General PASTIC Ms Nageen Ainuddin; Resource Person Mr Atta ur Rehman National Centre of Physics (QAU) at the closing ceremony of the Advanced Level National Training Workshop on Koha Library Automation Software (left to right). 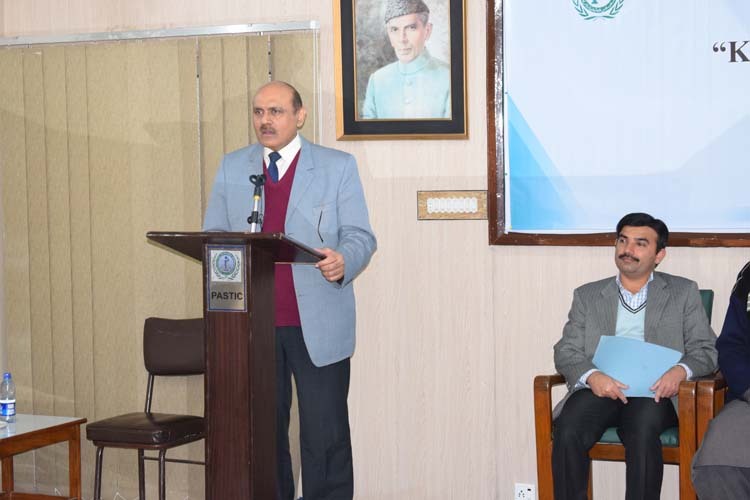 Chairman PSF, Prof Dr. Muhammad Ashraf delivering his speech at the closing ceremony of the Advanced Level National Training Workshop on Koha Library Automation Software. 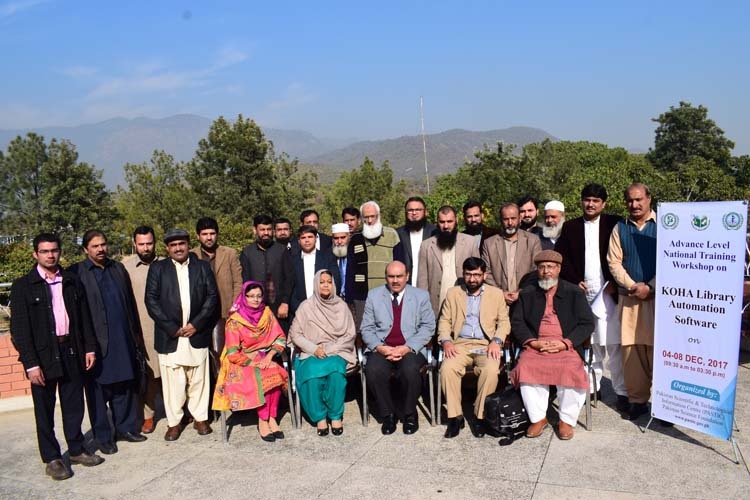 Group photo of the Participants of Advanced Level National Training Workshop on Koha Library Automation Software with chief guest Chairman PSF, Prof Dr. Muhammad Ashraf.